The building science professionals at Clark Seif Clark (CSC) help property owners identify health and safety concerns following flood damage. At Clark Seif Clark, our water damage and indoor air quality professionals are on standby to help California residents assess their property damage and identify potential hazards. The first week of December soaked most of California with much needed rain. Along with the rain came flooding in some areas, backed up sewers, toppled trees and even mudslides. In pockets of the state, many homes and businesses were heavily damaged and are now left with the long process of cleaning up and making repairs. While many impacted residents want to quickly return their properties to pre-storm conditions, it’s important they consider potential hazardous materials that may now be present. Failure to properly cleanup and make repairs could expose workers and future building occupants to indoor environmental quality issues that could have long-term consequences. Any standing water and wet materials can quickly become a breeding ground for microorganisms, such as viruses, bacteria and mold. Elevated humidity levels due to the flooding can cause mold growth throughout a property and quickly result in a significant increase in dust mites. If floodwaters contained sewage then infectious disease and chemical contaminants are a significant concern. Older properties may also contain asbestos and lead-based paints that can become airborne during cleanup and repair activities. 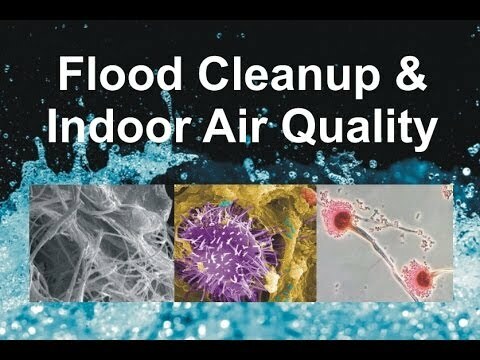 CSC recently sponsored an educational video about flood cleanup and indoor air quality concerns that can be seen at: http://youtu.be/3Q1tnHFkPF0. To learn more about this or other environmental, health and safety issues, please visit www.csceng.com, email csc@csceng.com or call (800) 807-1118. CSC was established in 1989 to help clients in both public and private sectors address IAQ and environmental health and safety (EH&S) issues. CSC is a leading provider of these services with multiple offices along the western seaboard and southwest. The company believes in science-based protocols and has a strong background in engineering, making them the preferred environmental consultants to industrial clients, healthcare facilities, architects, schools, builders, contractors, developers and real estate professionals.